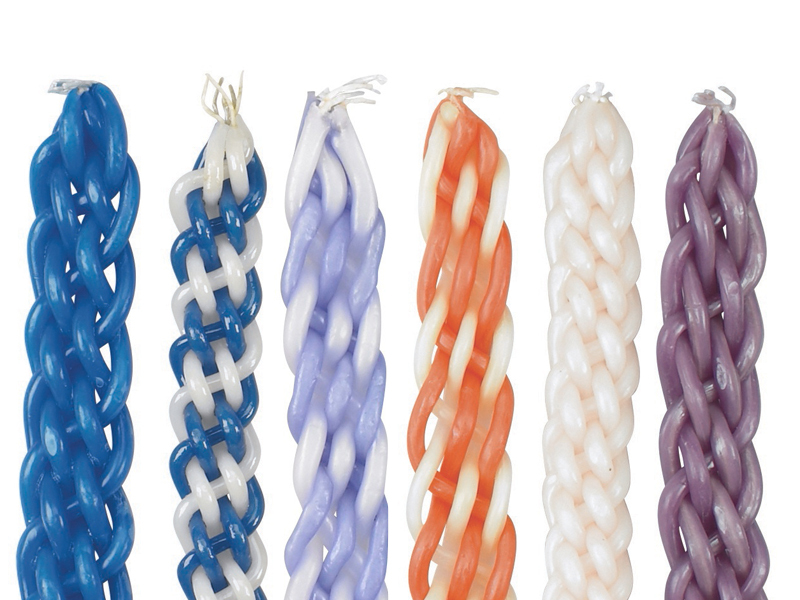 Choose one of these artistically braided glossy havdalah candles to fit your taste and style. These colored havdalah candles are braided with six thick colored wicks. According to the Jewish custom, havdalah is recited at the end of Shabbat and the new week is ushered in. A candle with more than one wick is used during the havdalah ceremony. These colorful candles is sure to enhance your havdala ceremony.